Rejoice, rejoice, for the future is now. Confirming rumors that appeared last month, Disney and Hulu announced on Thursday that the media giant and online video-streaming site will be joining forces. What does this mean for you, the savvy online video-watching consumer? Well, it means Hulu has inched one step closer to being the central repository for watching television online. Disney brings with it much of its primetime content from ABC including hit shows like Lost, Desperate Housewives, and Gray’s Anatomy. In addition, the deal also includes older shows such as Hope & Faith and Commander in Chief as well as content from some of Disney’s cable networks like ABC Family and the Disney Channel. As Digital Daily’s John Paczkowski points out, notably absent from the mix is anything from Disney-owned ESPN, arguably the nation’s premiere sports network. That’s not exactly surprising in and of itself, as ESPN probably has little trouble generating revenue on its own and, at the end of last month, Disney inked a deal with Hulu rival YouTube to use ESPN’s premium media, but it still may disappoint some consumers. In addition, Disney's motion pictures don't seem to be covered by the detail, but the company tends to play conservatively with those properties, which it appears to keep in a vault both literal and figurative. And what does Disney get out of this move? Besides the ad revenue for its shows, the company—of which, we remind you, Apple CEO Steve Jobs is the largest individual shareholder—becomes a joint partner in Hulu, receiving an equity stake which is rumored to be in the vicinity of 30 percent, putting it theoretically on equal footing with NBC and Fox. 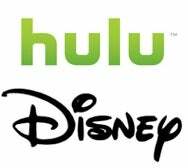 Disney will also receive three seats on Hulu's board, which currently contains three Fox/News Corp executives, two from NBC, two from a private equity firm that owns a stake in the company, and Hulu's CEO Jason Kilar. Strategically, a couple questions remain. What, for example, of CBS? It's now the only major broadcast network that isn’t involved in Hulu, having chosen to forego a deal in order to stream much of its content via its TV.com site. And how will the deal effect iTunes’s sales of television content? After all, why buy the cow when you can watch the milk with a handful of 30-second commercials for free?